A dear friend and former student of many years standing recently gave me an abbreviated version of The Wisdom of Success that he had compiled. Although the provenance could be questionable, as it is presumed to be based on a two-and-a-half day interview of Andrew Carnegie that Napoleon Hill conducted a century ago, as far as I am aware, there is no confirmation that interview took place. However, the truth of what is stated cannot be in dispute. In this Annual New Year’s Letter I will attempt to integrate some key principles from the wisdom of this work with a few fundamental principles of Vocal Awareness. Several years ago, the fourth of my five books, Vocal Power… was published. The subheading in part reads, “Harness Your Inner Voice…” In Appendix Five of my most recent book Vocal Leadership: 7 Minutes a day to Communication Mastery, I list the root sources of numerous key words. One of them is the word ‘voice’. Synthesizing a few relevant interpretations of ‘voice’, one is “a medium of expression.” Whether that expression is intra or interpersonal, it is always vibrational—energetic. Another, “the opportunity to express a choice.” Continuing, Old French via Latin includes, the word “vociferous”. ‘Power’, from Latin meaning ‘be able’ means in part, the capacity or ability to influence. Throughout the more than five decades of my Work, I have distinguished the word ‘voice’ in my own writing in two ways: One, when I am referring to the speaking or singing voice, I use a lower case ‘v.’ Two, when referring to the Vocal Awareness concept—the Deeper Self, I employ a capital ‘V.’ This distinction is critical because the first refers to the ‘outer voice’, the other, the ‘inner’ Voice. This interpretation is fundamental in Vocal Awareness for it is through our ‘inner Voice’ that we stay in contact with Source. In turn, this relationship is consciously integrated and communicated through the vibration of our outer, spoken voice. This understanding is foundational if we are to be able to be in touch with and release our own power—not simply vocal power, but personal power—not merely being loud and aggressive but embodying our basic right to be who we are without approbation. Therefore, Vocal Power is the ability to embody and integrate in mind/body/spirit consciousness the integrity of who we are at all times in all ways. In The Wisdom of Success, Carnegie/Hill created a clear and stunning stratagem for “organizing the philosophy of individual achievement.” A few critical principles they included are the necessity to have faith, a creative vision, Self-expression, the ability to be inspired and inspiring, and both connect with one’s emotions and convey that emotion and passion. I will now reinterpret those principles through Vocal Awareness. Vision in part means to have a mental image created by one’s imagination. Self is our total being—one’s individuality. The root of inspire is ‘to breathe into’. In other words, when we are inspired— metaphorically speaking—Source breathes into us; when we inspire others, we breathe into them. Emotion— our basic nature—is comprised traditionally of four elements—joy/sadness/fear/anger. Passion is boundless enthusiasm but the root is also connected to the word ‘suffer’. In turn, for me, passion is connected to compassion—deep awareness, empathy or sympathy. The goal of our Vocal Power is to engage and clearly align our imagination/vision/our story/our sovereignty. Walt Disney said, “If you can imagine it, you can engineer it”. He called it Imagineering. The role of Vocal Awareness in your life is to help you fulfill what you already imagine and engineer it through the way you tell your story. Quoting from the final chapter of Vocal Leadership…, “Be like the rock that, when thrown into the pond, does not merely make a splash and then sink to the bottom. Instead that splash, large or small, sends concentric rings across the pond impacting everything they come in contact with.” Your story is not told or lived in a vacuum. Again, everything is connected energetically/vibrationally. In “the Allegory of the Cave,” Plato explores a philosophical idea that man is chained in a cave facing a blank wall and the shadows on that wall become ‘a reality’ from which he is unable to break free. In The Wisdom of Success, Carnegie/Hill create a clear and stunning stratagem for “organizing the philosophy of individual achievement.” In Vocal Awareness we learn how to break free from being chained in the cave of externally imposed limitations—enabling us to live life on our terms to the best of our ability ultimately benefitting society and ourselves. Choose to vociferously live the truth of who you are integrally/integratively. It is only through structure, daily discipline and a surrender to Source/Self that our possibilities can be fully realized. A wonderful book which I read to our sons many years ago was written by Madeline L’Engle. I close my annual New Year’s Letter with the title of her book, as we are clearly living on a Swiftly Tilting Planet. Our collective energy/vibration can—must positively influence our global society before we ‘spin out of orbit’. 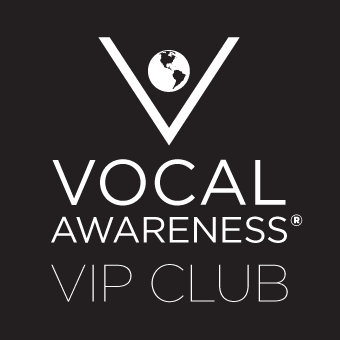 In support of my vision for positive global leadership, at this writing I am completing the finishing touches on the most significant project since my last book, A New Form of Mastery: The Vocal Awareness Leadership Academy. In last year’s annual letter, I discussed an idea I formulated a number of years ago—the Human Achievement Movement. As the next step in the evolution of the movement, all who participate in the Leadership Academy will learn the skills to accelerate human achievement. I look forward to this initiative positively influencing conscious global leadership.